GHOST LIGHT all over Dublin! 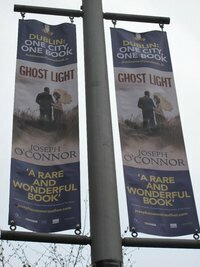 Dublin's One City, One Book project is in full swing with GHOST LIGHT being celebrated throughout the city. Street banners adorn Dublin's busiest street and the books are on display in bookshop windows all over the city. Click here for more photos. The month long GHOST LIGHT 'One City, One Book' project in Dublin promotes reading by encouraging everyone in the city to read the same book. 2011 is the sixth year of Dublin's 'One City, One Book' project, and as part of this year's celebration, the City Council and Library services have arranged numerous activities including readings by the author, events with readings and original music onstage and performances of Synge's plays in the Abbey Theatre. For the whole programme please click here. Back at no 2 in the paperback bestseller charts in Ireland, Joseph O'Connor has also been honoured by membership of the Aosdána. This is a prestigious body established by the Arts Council in 1981 to honour artists whose work has made an outstanding contribution to the arts in Ireland. Click here for the news story. GHOST LIGHT has also been shortlisted for the Walter Scott Prize for historical fiction. 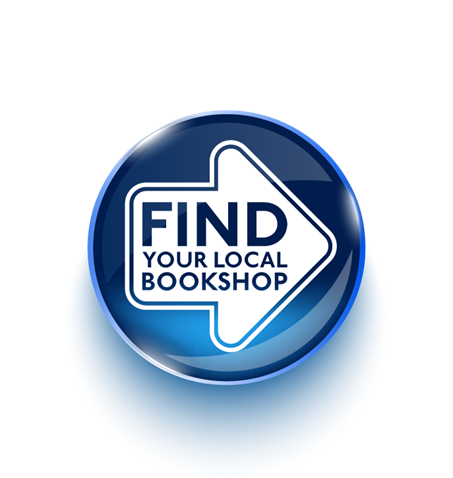 The winner will be announced on June 18 at the Borders Book Festival and will receive £25,000. For more information on this award, please click here.